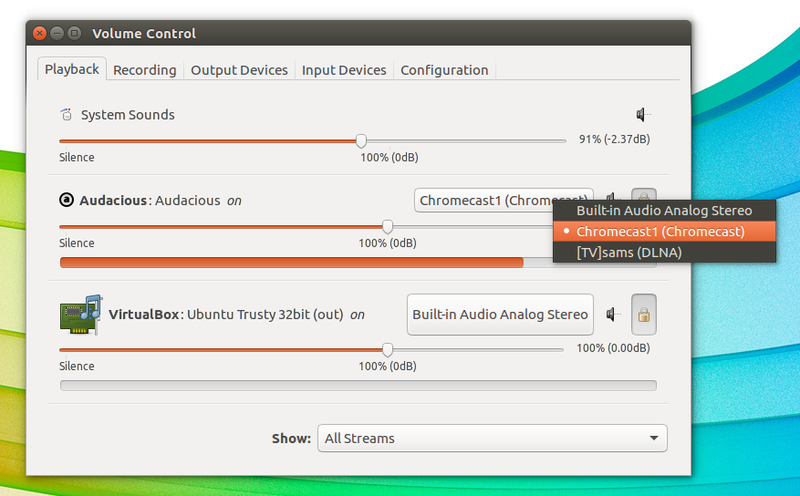 pulseaudio-dlna is a lightweight streaming server that makes it easy to stream audio from a Linux computer that uses PulseAudio, to a DLNA / UPnP or Chromecast device in the same network. The tool discovers all UPnP / DLNA / Chromecast renderers in the network and adds them as sinks to PulseAudio. 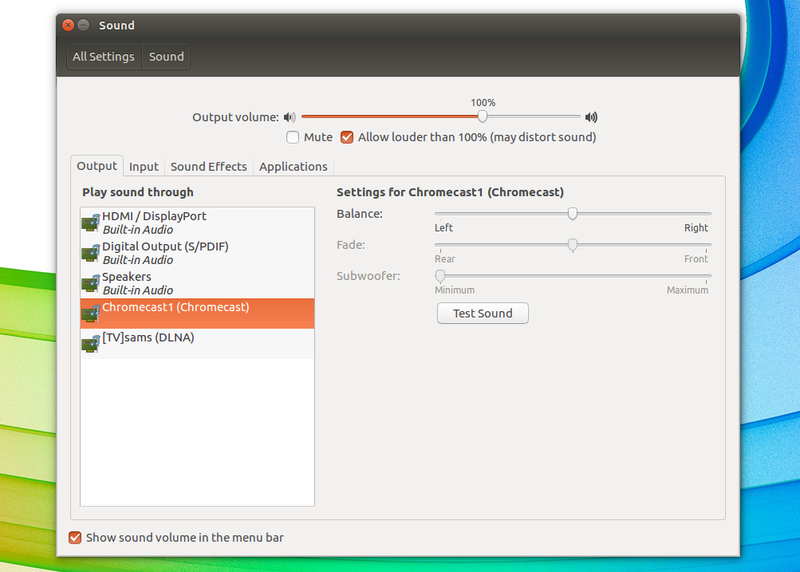 You can then either select the sinks from the sound settings, or use pavucontrol to control which applications can stream to the UPnP / DLNA or Chromecast device. Let's get started with installing and using pulseaudio-dlna. 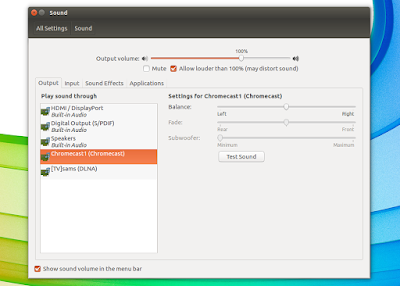 For how to install it in other Linux distributions, see the pulseaudio-dnla instructions. On the other end, make sure the DLNA / UPnP or Chromecast device is powered on. Select the device you want to stream to and... that's it (well, for DLNA / UPnP devices, you may need to accept the connection - a popup should be displayed on the device screen; Chromecast should start streaming immediately). Of course, this was the case for me, and it might not be needed in other cases. Update: pulseaudio-dlna was updated and mp3 is now prioritized over flac for Chromecasts. Note: to be able to use ffmpeg as the encoder backend, you'll need to install it. It's available in the official Ubuntu 15.10 and 16.04 repositories (so to install it, use: "sudo apt-get install ffmpeg") however, it's not for Ubuntu 14.04. For Ubuntu 14.04, you can search for a PPA that provides ffmpeg (use e.g. Y PPA Manager to search in Launchpad PPAs) - here's one that has ffmpeg backported from a newer Ubuntu version, but note that I didn't test it -, or install it from source. For more information about pulseaudio-dlna, bug reports, etc., see its GitHub page.